The texture and tone of the skin play great roles in determining the health of the skin. It is essential for an individual to take proper care of the skin, in order to keep the skin in good health and condition. Improper skin care can lead to several skin problems like pimples, eczema, blemishes, and freckles on the skin. There are various kinds of products available in the market to improve the health of the skin. However, commercially available products are not considered to be quite safe for the skin. In such a scenario, natural products are the safest options. Natural treatments for dealing with several skin conditions do not pose any kind of harmful impact on the skin, and are regarded to be quite effective. Among several kinds of natural products for treating skin conditions like acne and eczema, tea tree oil is considered to be very effective. The anti-bacterial and anti-inflammatory properties contained in tea tree oil help in fighting against several skin conditions quite effectively. Here, we shall discuss how tea tree oil can be used to treat skin conditions of various types. Tea tree oil works very well with respect to acne treatment when used in combination with glycolic acid. Glycolic acid acts like an exfoliant. The combination of glycolic acid and tea tree oil would help in destroying the bacteria which result in flare ups of acne. The treatment procedure recommends the application of tea tree oil prior to the use of glycolic acid. The skin should be cleaned properly before the application of tea tree oil on the skin. The glycolic acid should be applied after around fifteen to twenty minutes to see effective results. Regular use of tea tree oil on the skin is regarded to be a good way to prevent the skin from getting affected by acne and other skin disorders. Regular use of tea tree oil also assists in reducing the inflammation and pain caused due to blisters. Tea tree oil is also regarded to be good home remedy to treat skin conditions like sunburn and wart. Tea tree oil should be applied on problem areas of the skin on regular basis to see an improvement in the condition and health of the skin. Tea tree oil can also be used as a remedy for eczema. Eczema is a skin related disorder caused due to an allergic reaction. 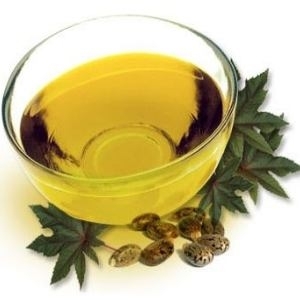 It is suggested to apply the oil with the help of cotton wool on the affected areas of the skin to see an improvement in the skin’s condition. The skin type of one person may differ from another. A few people may have sensitive skin type. Tea tree oil can be too harsh on sensitive skin. In such a case, the oil should be mixed with some hypoallergenic moisturizer and then applied on the skin to deal with eczema.